As Presented on Harry's Practice! 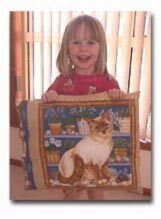 Our unique Cat & Dog Doonas (cat mats and dog mats) are high quality products that are proudly Made in Australia. The Doonas are filled with unprocessed Australian Alpaca, and feature attractive removable covers in quality fabrics. They are beautifully warm in winter and very comfortable in summer because they are a natural fibre. The Doonas themselves should not be washed - just put out in the sun. The special cover is, of course, fully machine washable. 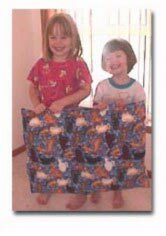 IMPORTANT: Please note that due to health regulations on unprocessed fleece, we regret that we are unable to ship our Doonas outside Australia. Postage and Handling: A P & H charge will be added to your order when it is processed. The charge will depend on your location in Australia. The table below can be used as a guide. If you would like to confirm the exact charge before placing your order please contact us. 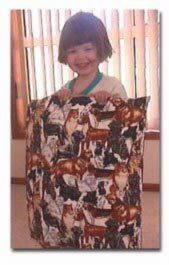 These beautiful Pet Beds (Doonas) make an ideal gift for your animal loving friends or for your own special pet.